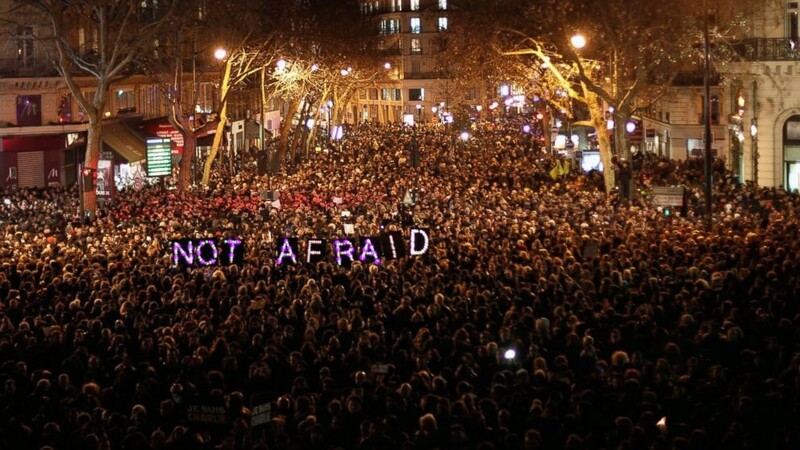 A Getintothis reflection after the terror attacks in Paris last night. In common with all the world over we at Getintothis are reeling from the horrific news that broke last night of the atrocities committed in Paris yesterday evening. We’re struggling to make sense of what happened. Largely because it makes little sense to right minded people the world over. While news of such events is depressingly omnipresent in this most unfathomable of ages, what seemed to make us feel the events only too keenly was their nature. A music concert. A gig. Something we all do, places where we all go. For enjoyment. For entertainment. To be challenged, to question and to think. But above all to feel safe. We cannot comprehend what those ordinary gig-goers experienced. It could equally have been us. You or me. Your brother. Sister. Husband. Wife. Friend. 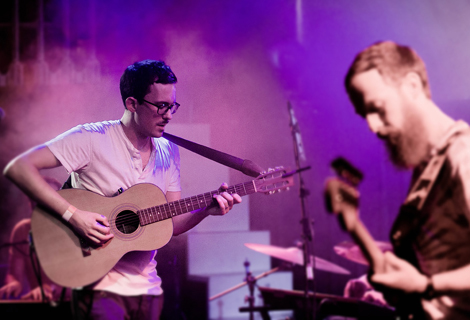 Where it strikes us to the core is the nature of the gig-going community in which we live. Often young, idealistic, opponents of intolerance, champions of diversity in all its forms: cultural, political, ethnic, religious. Music knows no boundaries, it cares little for borders and is open to all. That such an open-minded community should be the target of such a barbaric and senseless attack compounds our inability to understand and to comprehend. These are not people likely to be hostile to Islam or, indeed any other faith. Music has long celebrated the outsider, acted to broaden our mind and chronicled the struggles against repression and prejudice in its many and varied forms. There can be no justification, no search for cause, only condemnation in its strongest form. Yet in not seeking answers, we cannot ignore what has happened. As French president Francois Hollande declares war on ISIS we must avoid knee jerk reactions and look to our leaders for real leadership. This is not only about our strategy for defeating terror in the Syria and the wider Middle East but also our attitudes in the west. It used to be commonly assumed that the only way to promote lasting peace in the Middle East was to support open tolerant and democratic government that freed its people from religious and political persecution while offering hope for the future. With each new act of terror our faith in a solution lessens. In striking at the young, the tolerant, the open-minded, it reminds that this is terrorism of intolerance. Anyone different, who embraces an alternative lifestyle, is now, it seems a justifiable target. Liberal and progressive democracy seems unworkable. Yet unmanned drone strikes are not the solution surely, serving only to drive more into the arms of radical terrorists and their monotheistic west-hating ideology. What is important is that we don’t lose hope or perspective. That we don’t allow this attack on the young and the tolerant to breed greater intolerance and to foment Islamophobia. That is surely the intention of the attack; to provoke such sentiment to justify their pernicious world view of conflict between east and west, between their version of Islam and infidels. The only way we can win is by not allowing ourselves to succumb. We must recognise that this is the action of not even a minority of Muslims. It is not reflective of the broader Islamic faith. In doing so we must retain hope, tolerance, open mindedness and diversity. If we allow such values to be undermined then we have lost. Keep going to gigs, keep the faith, we shall overcome.